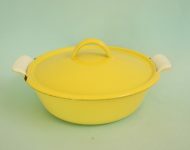 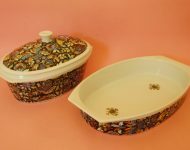 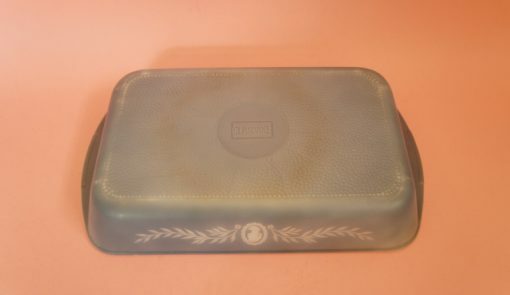 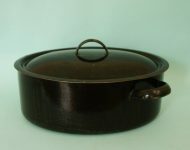 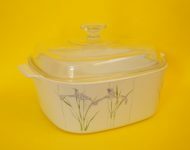 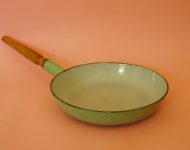 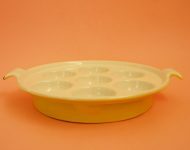 This Glasbake dish isn’t in as good a nick as I’d like it to be – the paint is slightly chipped in places, and the underneath of the dish shows how well it’s been used over the years, but it’s still a good quality baking dish with plenty of life left in it! 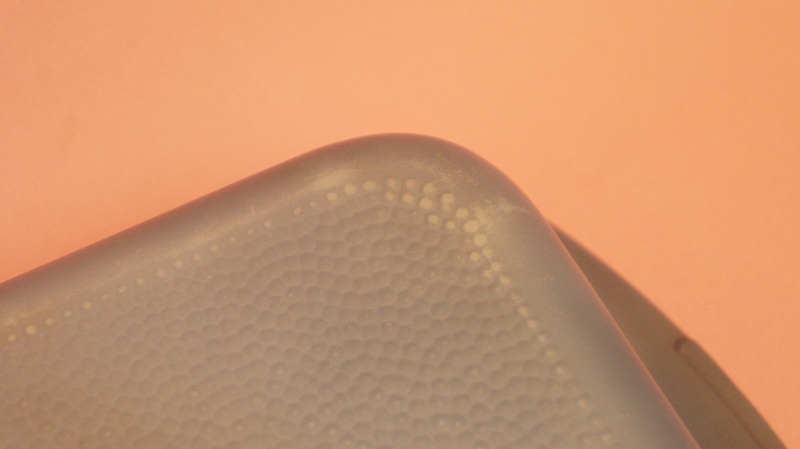 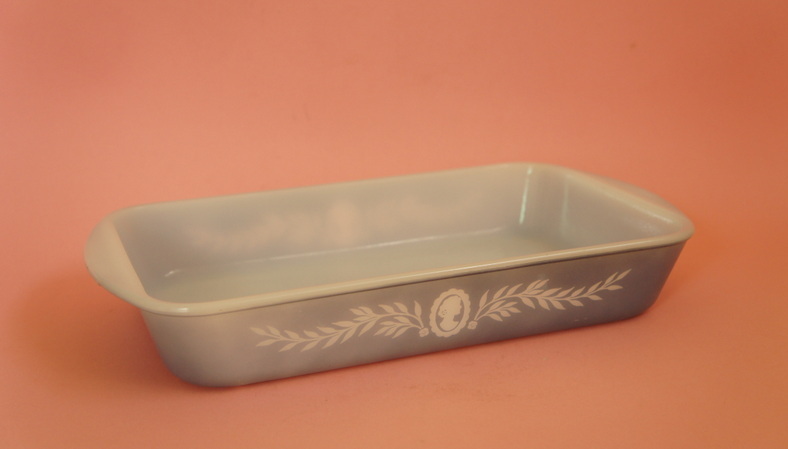 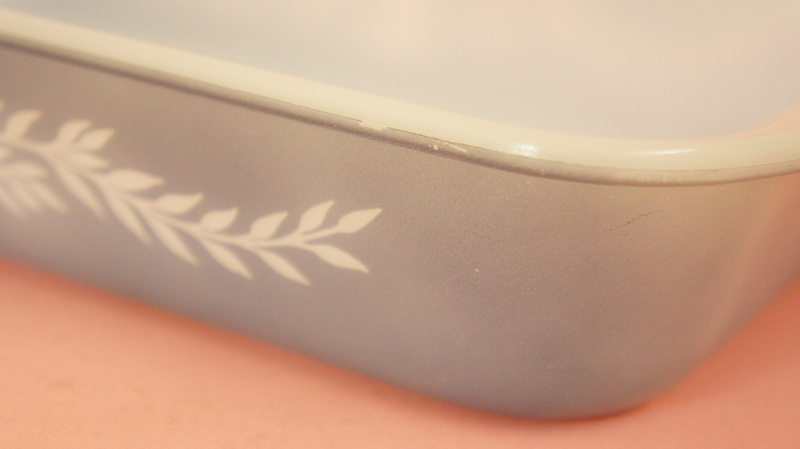 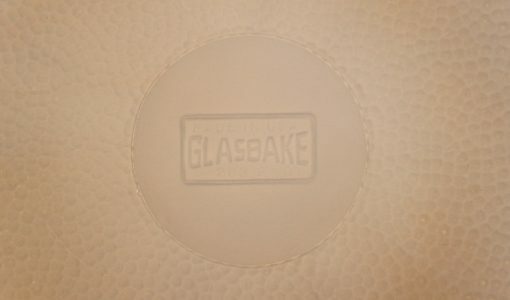 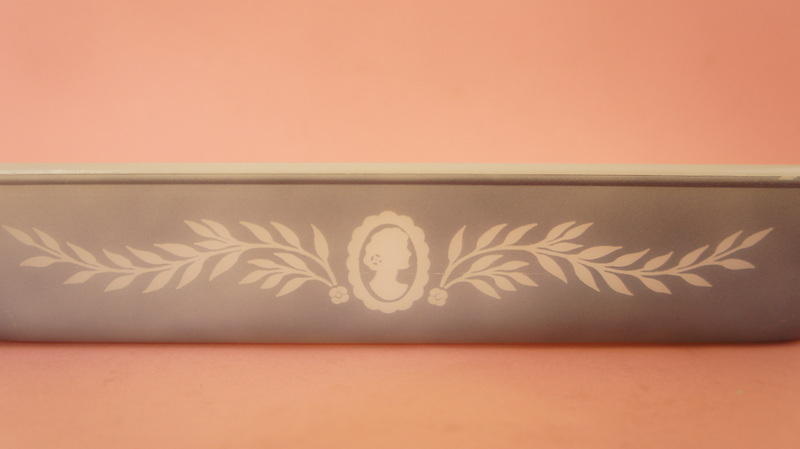 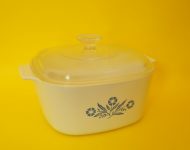 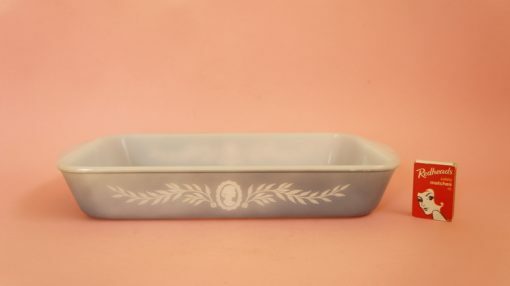 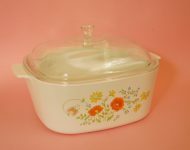 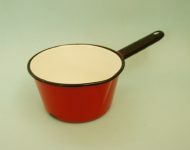 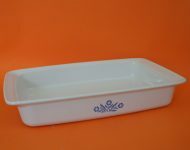 Plus I really like the contrast of the classical print on something as common as pyrex (the material used by Glasbake is very similar to pyrexware) – it really looks like a design that you’d see on fine china doesn’t it? 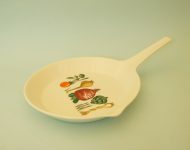 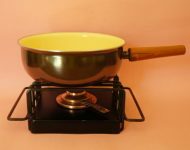 A quirky dish that you’re sure to get plenty of use out of.